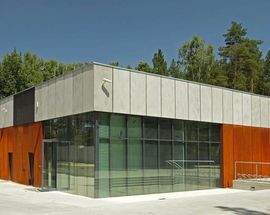 This highly recommended museum in the forest outside Warsaw significantly ups the standard for how a small exhibit can pack a huge punch. A little history: during World War II the forests of Palmiry and Kampinos became a refuge for those fleeing the destruction in Warsaw (many Home Army soldiers regrouped in the woods). 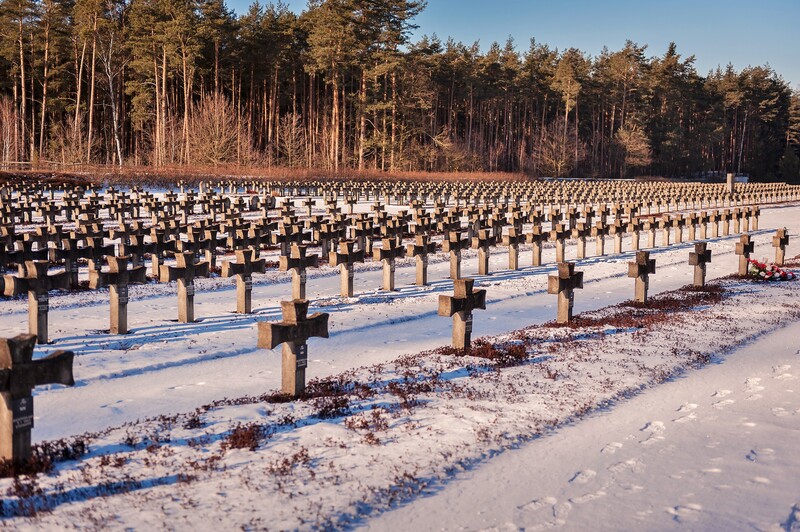 It also became the site for 21 separate mass executions performed by German soldiers against 1,700 Poles and Jews, many of whom were academic and cultural figures. Inside this well-organised modern block visitors will see how the Poles used the forest for training and hiding weapons, and how the Germans turned their refuge into a killing field. Information boards clearly explain what happened in the forest (these are some of the best English translations we’ve seen) and displays include exhumed items like documents and photos, even sections of trees with ammunition still buried in their bark. A video re-enacts how German soldiers systematically marched civilians to their deaths, and the tour ends with an endless audio loop that reads the names of the victims. 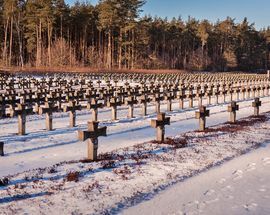 Outside visitors will see a giant cemetery of marked and unmarked crosses (the museum also describes the exhumation process that took place in the forest) dedicated to the victims. 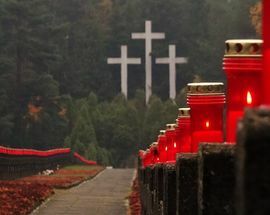 While the museum is mainly dedicated to what happened in the forests during World War II it also makes note of the fact that Poles have taken to these woods during the Kościuszko Uprising in 1794, the November Uprising in 1831 and the January Uprising in 1863. 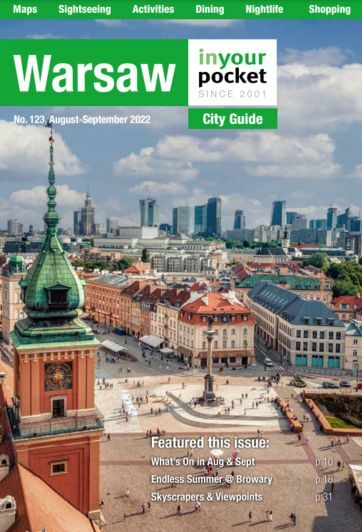 Getting to the museum from Warsaw is fairly easy, though a little far. The easiest way is to take the Metro to Młociny Bus and Metro Station (end of the line) then catch bus no. 750, which will take you straight to 'Łomna-Cmentarz', then you'll have to walk the final few hundred metres to the museum. For this journey, you'll need a zone 2/strefa 2 ticket. Depending on the time of day (peak/off-peak), buses run every 30-60 minutes, there and back. Open 10:00 - 16:00. Closed Mon. Thank you for the information. There is so much of Polish history that needs to be understood by the West. 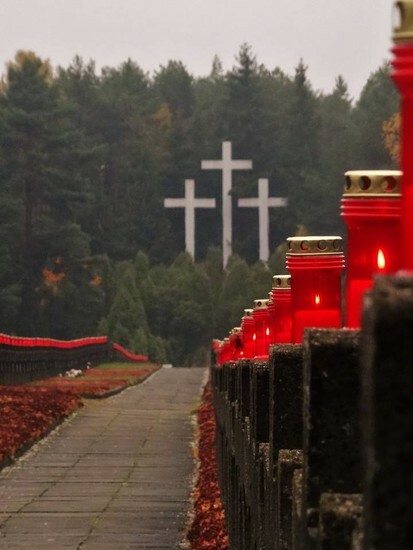 More English language translations will help show tourists critical parts of Polish history.